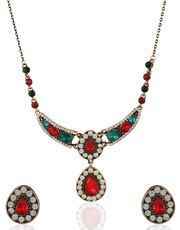 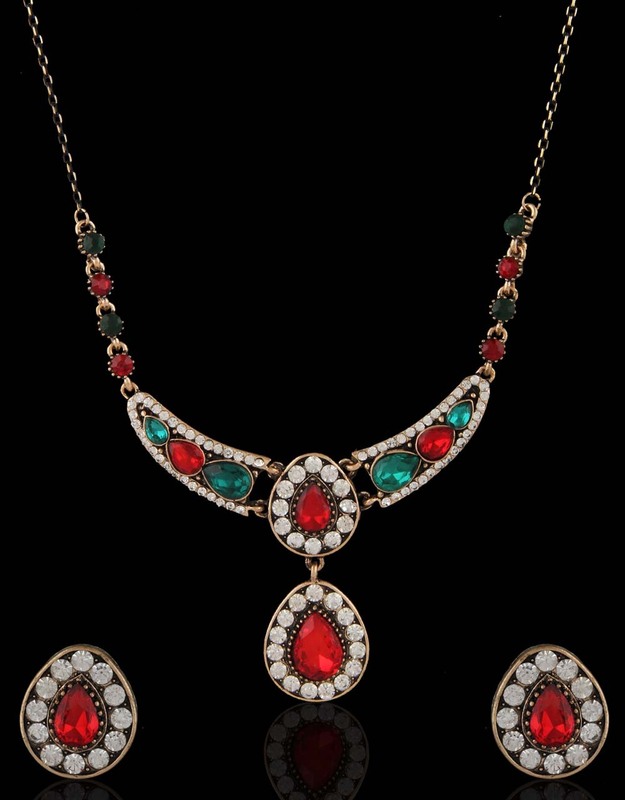 Multi colored stylish necklace set from Anuradha Art Jewellery will make you look outstanding. 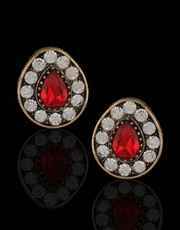 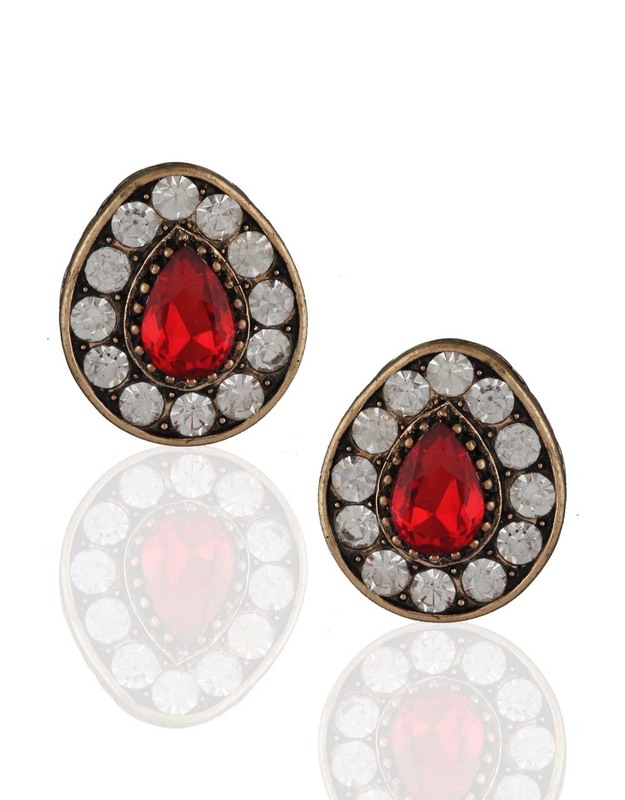 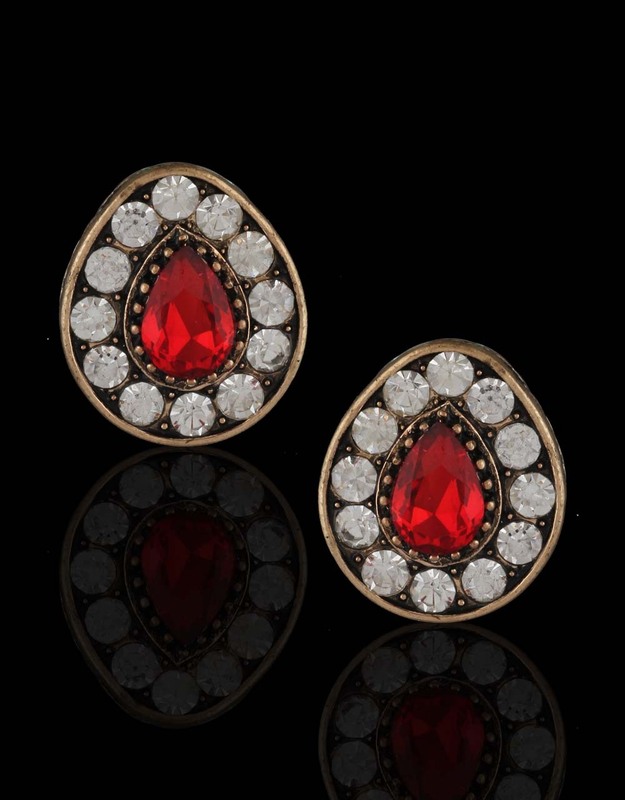 Embedded with shimmering stones & crafted from antique polished Korean metal. 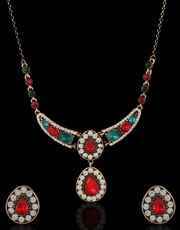 This necklace is high in quality & will last for many years.